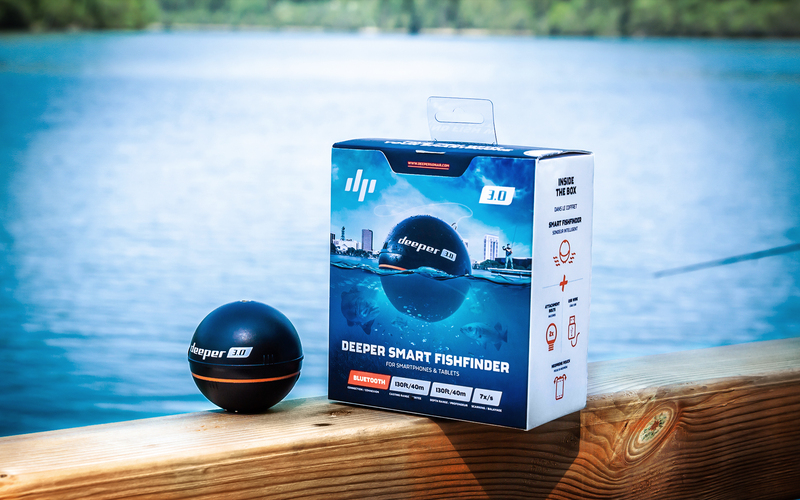 As the first ever smart sonar compatible with Android and iOS, the Deeper Fishfinder has revolutionised fishing. Simply cast it into the water and, via its bluetooth connection, it will relay an array of data straight to your smartphone; the depth and temperature of the site you’re fishing, the structure of the bottom, what vegetation there is, and (most importantly) where the fish are. Weighing just 3.5oz / 100g and measuring only 2.5ins / 65mm, and with a range of 40m / 130ft, the Deeper Fishfinder is designed to be easily castable, making it ideally suited for fishing from banks, bridges, and docks. Scanning to a depth of 40m / 130 ft, it is also great for ice, kayak and float tube fishing.